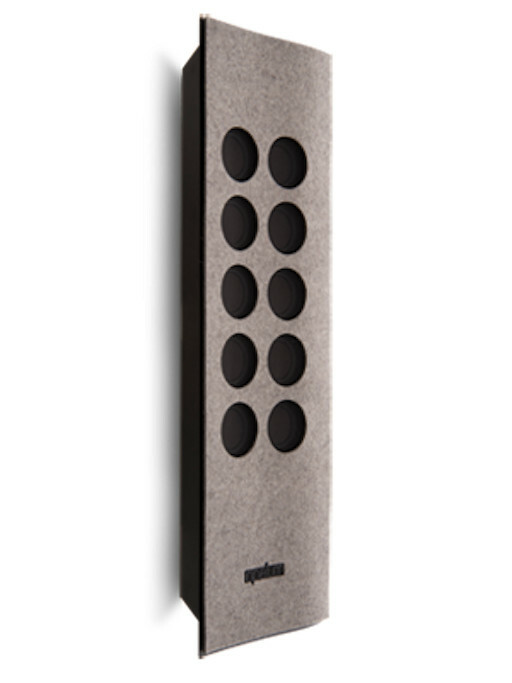 CONSISTING: 1 PAIR ACTIVE WALL MOUNTING SPEAKERS. 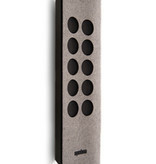 EACH WITH 10 X 2" POINT SOURCE ARRAY DRIVERS GREY FRONT PANEL IN REPLACEABLE VELCRO FELT. FREQUENCY RESPONSE 55HZ - 20KHZ +-3DB. EACH UNIT DRIVEN IN A QUAD AMP CONFIGURATION WITH 20 WATTS FOR HIGH AND 3 X 20WATTS FOR LOW FREQUENCY DRIVERS. SYSTEM INCLUDES 1 X DIGITAL HUB II IN BLACK WITH RS232 AND IR REMOTE INTERFACE. BLUETOOTH CAPABLE FOR STREAMING OF MUSIC IN CD QUALITY. Whether you want to accent the room décor or change colors to suit your mood, the BREEZE.1010 offers unparalleled design flexibility and style. 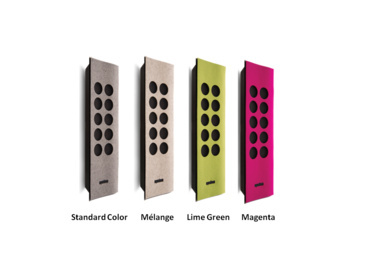 Founded on the proven technology and performance of the FLOW.1010, but featuring high density felt faceplates that are user changeable, the BREEZE.1010 is a designer's dream. 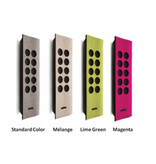 Interchangeable colours available in magenta pink and lime green, melange.